Domain Mondo's weekly internet domain news review (NR 2018-04-01) with analysis and opinion: Features • 1) ICANN's GDPR Train Wreck, A Day Late And A Dollar Short, 2) Other ICANN news: a. New gTLD .WEB: ICANN & Afilias, b. 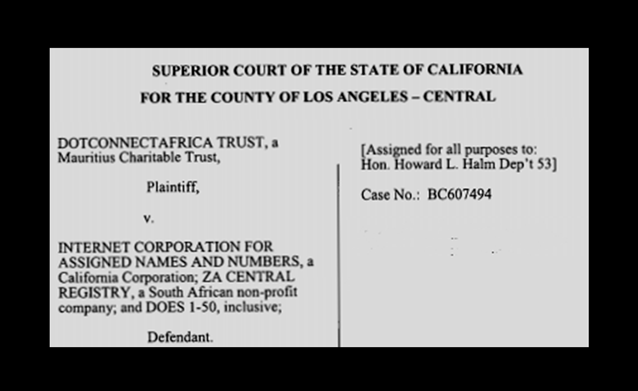 New gTLD .AFRICA Litigation Update, c. ICANN Senior VP Sally Costerton's Secret Contract, 3) Names, Domains & Trademarks: a. Verisign $VRSN, b. GoDaddy $GDDY, c. .EU & Brexit, 4) ICYMI, 5) Most Read. [gnso-rds-pdp-wg] WG Meeting Suspension | icann.org: "The RDS PDP WG leadership team has decided to suspend WG meetings until further notice while we await guidance from the [ICANN] Board regarding how this WG will be affected by the GDPR compliance efforts." b) The world's second-largest TLD (Top-Level Domain) registry operator, Afilias, has reportedly given notice to its registrars that effective May 25, 2018, it will no longer show WHOIS registrant contact data on millions of domain names. Data Protection/Privacy Issues Update: Discussion with Article 29 Working Party | ICANN.org 29 Mar 2018, Goran Maby: "...We heard clearly from the representatives that they understood the issues relating to the ICANN/WHOIS space and are evaluating how to provide advice from the Article 29 Working Party ... we anticipate that ICANN and the WHOIS system will be on the upcoming Article 29 plenary's agenda for 10-11 April 2018. ... We look forward to receiving advice following the plenary, which we may rely on to complete the [ICANN] model [pdf], and are hopeful that we will also be provided with a moratorium on enforcement that would allow sufficient time to implement the model and build the appropriate accreditation system ..." [emphasis and links added]. Editor's note: It is now abundantly clear that ICANN's overpaid and incompetent management team completely bungled GDPR preparations. ICANN has had two years to get ready for the GDPR effective date of May 25, 2018, but did not even start serious preparatory work beyond "discussions," until late in 2017, and by that time had already driven the ICANN train "off the track" as duly noted by Professor Milton Mueller. "... Substantial gaps in ICANN’s legal rationale for proposed interim model ... contracted parties and third-party WHOIS users, including brand owners, both levied criticisms against ICANN’s ‘cookbook’ intended to provide its legal rationale for the elements of its proposed interim GDPR compliance model. Contracted parties’ primary criticism is that the cookbook contains too many gaps, failing to give registries and registrars sufficient comfort that the interim model is justifiable in the eyes of European data protection authorities (DPAs) ..."
"I think if we get rid of that [IANA] contract we will be free of the pressures." --ICANN President and CEO Fadi Chehade, February 10, 2015. Dawn of a New Internet Era | ICANN.org: "... we welcome your participation in this next era of the Internet ..."--Akram Atallah, ICANN Global Domains Division President. Why I Love the International Office Strategy | ICANN.org: "I think this strategy will take ICANN to the next level. We are stable and mature. We have global standards and processes in place." --Goran Marby, ICANN President and CEO, 13 Mar 2018.
a. New gTLD .WEB: Afilias vs ICANN, Verisign $VRSN & Nu Dot Co? UPDATE: See the March 24, 2018, response from ICANN to Afilias's request for documents at the link above. August 22, 2018 at 09:30 am in Department 53 at 111 North Hill Street, Los Angeles, CA 90012 Trial (PHASE II: ON REMAINING ISSUES). c. ICANN Senior VP Sally Costerton's Secret Contract: 23 March 2018 Letter from ICANN Chief Financial Officer Xavier Calvez to John Poole [Published 27 March 2018] re ICANN FY16 IRS Form 990. [Editor's note: I will have more to say on this after ICANN responds to the pending Complaint against ICANN, ICANN CEO Goran Marby and ICANN CFO Xavier Calvez (pdf)]. For more background information, see on DomainMondo.com: News Review | ICANN Pays Senior VP Sally Costerton Secret Contract $$$ Oct 15, 2017.
a. Verisign, Inc. (verisign.com): Wall Street analysts are sour on telecoms and utilities, and 33% say sell VeriSign (NASDAQ: VRSN). See those recommendations here. b. GoDaddy Inc. (godaddy.com): Goldman Sachs initiated coverage in March on domain name registrar GoDaddy (NYSE: GDDY) with a Buy rating and $81 price target. Analyst Mark Grant favors GoDaddy over peers due to brand strength, scale, cash flow generation, and financial flexibility. See also GoDaddy migrates to Amazon Web Services in multiyear partnership | SeekingAlpha.com: As part of the deal, AWS will sell some GoDaddy products like Managed WordPress and GoCentral for domain and website management. GoDaddy will not migrate the 75 million domain names it manages to AWS. For more information see GoDaddy 2018 Investor Day presentation (pdf). The EU notice (pdf): "... the following persons are eligible to register .eu domain names: (i) undertakings having their registered office, central administration or principal place of business within the EU; (ii) organisations established within the EU (without prejudice to the application of national law); and (iii) natural persons resident within the EU ..." See Article 4 Obligations of the Registry. 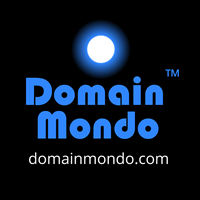 Reality check: (1) Registering .EU Domain Names Article | networksolutions.com--a 3rd party (e.g., in Dublin, Ireland) can serve as "registrant of record"; (2) the United Kingdom (UK) doesn't leave the European Union (EU) until March 29, 2019. The EU and UK are still negotiating several issues including how EU members and the UK can continue to have access to each other's markets (free trade), as well as continue to have an open border between Ireland (a member of the EU) and Northern Ireland (part of the UK). Editor's note: likely impact of EU notice: (1) a drop in .EU registrations (currently 3,815,055); (2) an increase in .UK registrations (currently 10,457,0140). The ccTLDs .UK (United Kingdom), .DE (Germany) and .NL (Netherlands) have always been more popular than .EU. But the EU notice reminded everyone once again of the arrogant EU bureaucracy in Brussels which was a factor in the "Leave" victory on 23 June 2016. Privacy: Apple CEO Tim Cook slams Facebook: Privacy 'is a human right, it's a civil liberty' | nbcnews.com: "Apple CEO Tim Cook on Wednesday slammed Facebook for profiting from its users' data — and called for the social media giant to be more tightly regulated. Such detailed profiles of people, with "incredibly deep personal information that is patched together from several sources" like Facebook has compiled, shouldn't be allowed to exist, Cook said." “Fake News” Offers Latin American Consolidated Powers An Opportunity to Censor Opponents | Electronic Frontier Foundation | eff.org: "Fake News” as a pretext for curbing free expression in Latin America. Internet censorship in Kazakhstan: more pervasive than you may think | openDemocracy.net.